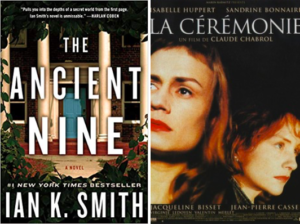 This week, I’ve been enjoying Ian Smith’s debut mystery, The Ancient Nine. While I normally stay far away from anything with conspiracies in it, this tale of Harvard secret societies has me hooked, probably because of the appealing outsider perspective of its narrator, and author Ian Smith’s personal experiences at Harvard that lend an edginess and authenticity to his descriptions of back-door dealing in the halls of privilege. Plus, like any other proud graduate of large public institutions, it pleases me to see the Ivy League criticized from within. I’m also in the midst of a project to watch more films adapted from crime fiction by women, and to that end, I’ve been enjoying La Cérémonie, Claude Chabrol’s stunningly creepy rendition of Ruth Rendell’s justly-famed A Judgement in Stone. 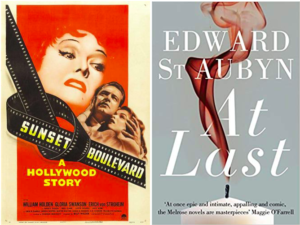 One night this week, on a whim (and by whim I mean the whim of my partner, who has much classier taste in films than I do), I watched the 1950 noir Sunset Boulevard, which I had never seen before, and which I found to be excellent, if slightly too campy to entirely convince. The very next morning, in true Baader-Meinhof form, I found a reference to the film in the final pages of Edward St. Aubyn’s At Last. The movie also made me want to go back and rewatch the “Teddy Perkins” episode of Atlanta, though I admit that I have not yet done this. I’ve been too busy trying to con my co-workers into watching Kung Fu Hustle. Now you see what I mean about my taste in films. It’s excellent. Last night was the Nixon v. Cuomo debate, which I watched with friends in a very warm, overcrowded bar in Williamsburg. I particularly enjoyed Cuomo’s denial of responsibility for all the MTA breakdowns (lots of groans at this) and the fact that the words “nothing burger” were thrown around when they discussed Cynthia Nixon’s tax returns (lots of laughs). 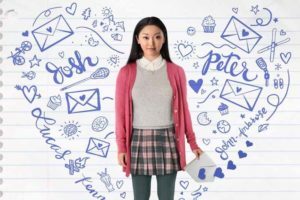 And speaking of debates, this week I seem to be caught in a lot of conversations about To All the Boys I’ve Loved Before, that new romantic comedy on Netflix that everyone and their mother has been raving about. I just want to be clear: I did not love this movie. Personally, I thought there were a few plot holes and that a lot of the moments didn’t land the way they were supposed to, but I will say that I liked seeing an Asian-American actor play a romantic lead (and Jenny Han’s piece in The New York Times about this). Plus, I really appreciate all the conversations (read: arguments) I’ve been having with friends about the film, representations of race, and depictions of healthy relationships. In honor of the fact that The Miseducation of Lauryn Hill turned 20 over the weekend, I revisited it after far too long (no, there are no good reasons why I don’t bump it on the regular). It is, of course, glorious as ever. A friend invited me to see Deerhoof in concert on Saturday, and while I had to take a rain check, he ended up reminding me that Deerhoof is a band I’ve been meaning to listen to for ages. 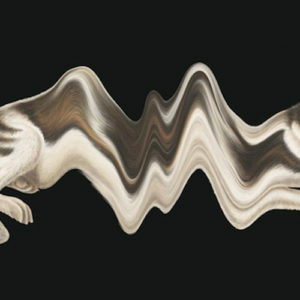 I’ve since become obsessed with their latest album, Mountain Moves, which is lovely and full of stylistically diverse, politically charged end-of-summer jams. While I do regret missing the show, I already had plans to watch BlackkKlansman. It’s awkward to admit in public, but BlackkKlansman is my first Spike Lee joint (no, there are no good reasons why I haven’t watched anything by him before). The only spoiler-free things I can say about it are HOLY CRAP and that I think it’s essential viewing. Also, this excerpt from Ron Stallworth’s memoir The Black Klansman is a great, if tiny, companion piece to the film. Shoutout to Dwyer Murphy for letting me know that it exists. Maybe it’s been the stifling eloquence of the Manhattan heat—its simmering locutions of THESE HERE END TIMES—but I haven’t found a lot of stuff to love over the past couple weeks. 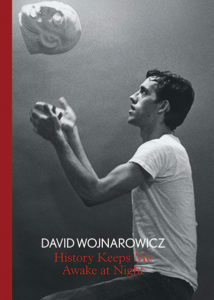 But I did find myself lingering over the mixed-media collages of David Wojnarowicz yesterday, slowly turning the pages of the appropriately evergreen History Keeps Me Awake at Night, and feeling somehow better. So there’s that! I just started a new job (here! Hello! ), so between the glut of new procedures, names, and bathroom door codes and the sole/soul-melting heat in New York right now, my brain feels a bit like an overstuffed apple pie. So I’ve been treating it to Taffy Brodesser-Akner’s archive of incredible profiles. Most recently, she wrote about how profiling Gwyneth Paltrow led to Brodesser-Akner taking up smoking after a 10 year absence (okay, that wasn’t really the takeaway, just one of many incredible details). She has a way of writing about people (Jonathan Franzen, Andy Cohen, Jimmy Buffett, and Matthew Klam, among many others) that is at once intensely empathetic and incredibly wry, and with a light but masterfully administered dose of self-reflection. I highly recommend a deep dive, especially if you, too, find yourself with end-of-summer sludge-mind. I am moving this weekend, and as such all of my books are sealed up in the Home Depot cardboard boxes currently turning my apartment into an obstacle course. 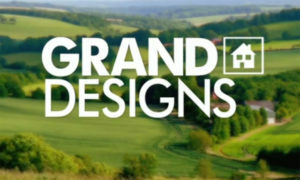 I have, however, watched several episodes of Grand Designs while packing, a charming British show that follows, over a period of years, ambitious home building projects across the UK, and in which host Kevin McCloud asks each participant delightfully invasive questions about their finances while occasionally ribbing them for their lack of architectural refinement. One of the joys of writing is writing alongside others. To be near someone as they turn into a creature of air. Find some new angle of uplift. 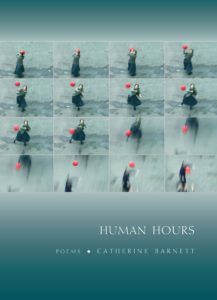 For the past two or three years that’s how I’ve felt each time I heard Catherine Barnett read new work. She has always been a fearless poet, a falconer of her own heart. But her new poems, collected in Human Hours, display a new and beautifully-feathered sense of doubt. They say in the kindest way that doubt, in its best form, can be a way of knowing. A way of seeking answers beyond the data easily retrieved. Watching each of these poems dive after a target and swerve away is simply breathtaking. It’s so natural it feels like nature, which maybe it is. She writes at the end of one poem, “Sometimes when I am alone I go outside with my big little mouth/and speak to the trees as if I were a birch among birches.” I believe it. Present-day Hollywood and present-day Hollywood stars are super boring. It’s all 3D superhero sequels and coached promotional tours and Old Hollywood, on the other hand, was full of seedy mystery and glamor, betrayals and buried secrets. 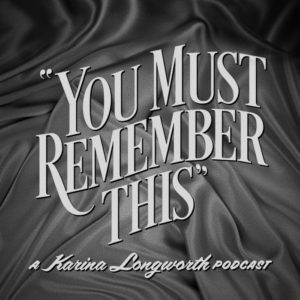 You Must Remember This, Karina Longworth’s fascinating and marvelously performed storytelling podcast about the secret and/or forgotten histories of Hollywood’s first century, brings the myriad origin stories of Tinseltown’s yesteryear to life. 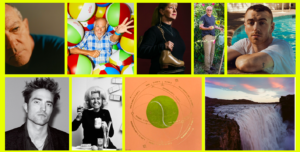 I’ve been dipping in and out of the podcast’s archives over the past week and it is an absolute treasure trove. This week I spent every evening digging through R.W.B. 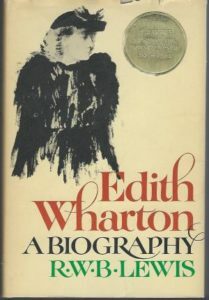 Lewis’s 1975 biography of Edith Wharton, not for any particular reason, but because sometimes you think to yourself, I deserve nice things, and then lo, you’re walking by the $2 paperback cart on a sidewalk outside a shop on Broadway, and there’s the very thing, hundreds and hundreds of pages of insight and correspondence and itineraries as Wharton and her set move between French villas and The Age of Innocence is written. Then at some point you start to wonder, do I deserve all this, though? For what? Why? But then Ms. Wharton is there to assure you, all God’s creatures have delicacy of a sort.